Do we really need to play so many early-season mid-week games? The MMP with Norman Lloyd League, second-division fixtures for March have been released. 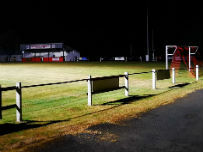 The first team is scheduled to round off its league season on Saturday, 2 March when they will host Dolgellau at Llanandras Park in a 2.30pm kick off. Assuming there are no postponements between now and then, this will be the final league fixture of the season. I don’t recall a league season ever finishing as early as this – certainly not a league season in which there have been 13 clubs in the division. It does, once again, beg the question as to why we have to play mid-week games early on in the season to then end up with only one fixture in the the final two-and-a-bit months. I appreciate organising the fixtures is never easy and that, for some clubs, the lambing season can lead to large numbers of their squad being gainfully employed doing other things but one game in the last six or seven weeks – really? Before anyone else mentions it, yes, we did go out of almost every available cup competition early so this impacted on our fixtures as we were more ‘readily available’ to play league games on conference dates earlier in the season. But it’s a shame as March marks the days lengthening and the weather often getting warmer which might just lead to a few more casual supporters being tempted to head down to Llanandras Park to take in a game. Again, yes, last March hardly came into that bracket, but even if the weather’s poor there’s still plenty of time in April and May for catch up fixtures. Here’s hoping the Reserves have a few home matches in the month or we could be seriously short of football in the Clatterbrune area.